It’s all fun and games until some somms wage a Wine Bar War. Wine Bar War is in all caps because it’s an event sanctioned by Wines of Chile, and it has sparked some serious competitive spirit amongst Miami’s top sommeliers. They’re going at it tomorrow night split into four mixed teams – teamwork across restaurants is essential – to bring Chile to Miami through wine, food and design. At stake, a premium business class trip to Chile for the winning team to experience the best Chile has to offer courtesy of Turismo Chile and LAN Chile. So what’s the task? Physically erect a wine bar in one day and build a solid list to win over judges and guests, choosing from among the best producers this Andes-hedged, 2672 mile coastal strip of South American real estate has to offer. 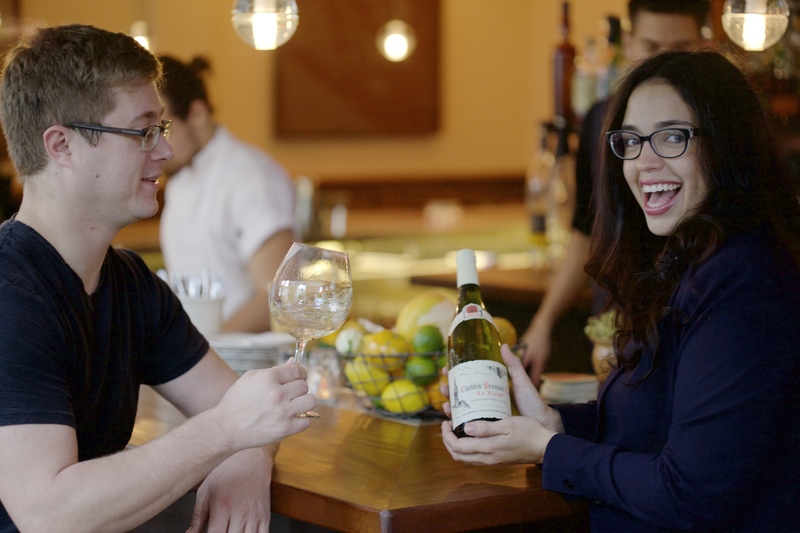 As Team Ungrafted Wine Bar approaches Thursday’s Chilean rumble, Captain Amanda Fraga‘s strategizing has been long underway as she juggles her day/night job as sommelier of Michael’s Genuine Food & Drink. 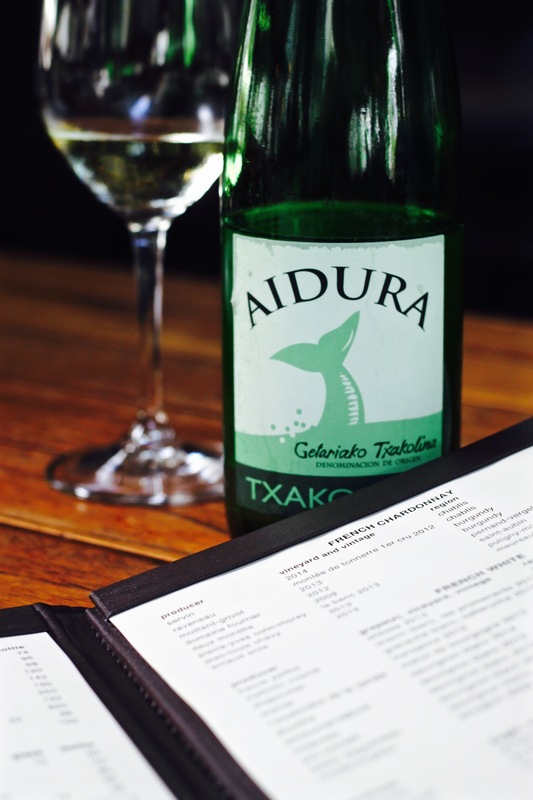 For Amanda, “Wine Bar Wars is about bringing sommeliers, consumers, trade to an event so they can learn what Chilean wines are all about.” Quite a way to make an impression! The bar is coming together! We’ve got two dogs in this fight – Amanda and her boss, TGHG Wine Director, Eric Larkee. Needless to say, there has been some intra-company trash talk. Amanda’s team is Ungrafted, and Larkee’s is Natural Roots. Amanda is joined by Chris Zarcadoolas of Scarpetta, Cindy Woodman from Café Boulud and Josh Mesnik of Market 17. Natural Roots is headed up by Brian Grandison from Hakkasan, and teaming up with Larkee are Danny Toral from 50 Eggs and Kirsta Grauberger of Market 17 and Day Market Kitchen. So aside from a trip to Chile, there are bragging rights on the line! Amanda and her team chose the name “Ungrafted” to highlight something uniquely Chilean, the original root stalks. She explains, “in Chile they do not graft the vine into a specific root stalk. Chile, being boarded by The Andes and the ocean, is in prime ungrafting real estate. Which is different from the other main wine growing countries around the world, like France and Spain.” Larkee had a similar idea, and his team, Natural Roots, refers to the same concept. Larkee says, “Chilean wines are grown on their own root stalks, their natural root stalks. This can get kind of wine wonky, talking about this, but basically this is all due to a bug called phyllorxia. They are a menace and in most of the world, grape vines have to be grafted onto phyllorxia-resistant root stalks in order to thrive. But Chile is an agricultural island, it is isolated from the rest of the world and hasn’t suffered this infection.” Therefore, Chilean vines are grown on their original root stalks and grapes are produced with no varietal cross over. Hondarrabi Zuriaidura, Getariako Txakolina, Spain 2013. Summer’s wine! What can we say about our dueling sommeliers? First, good luck! Second, it’s a very good thing you’re on separate teams because who would work the floor if you BOTH go to Chile! Get your tickets before tomorrow at 7:00 p.m. through Gilt City and you and a companion may be riding shotgun with the winners.